Tienda online de merceditas con picados y hebilla en piel charol para niñas. 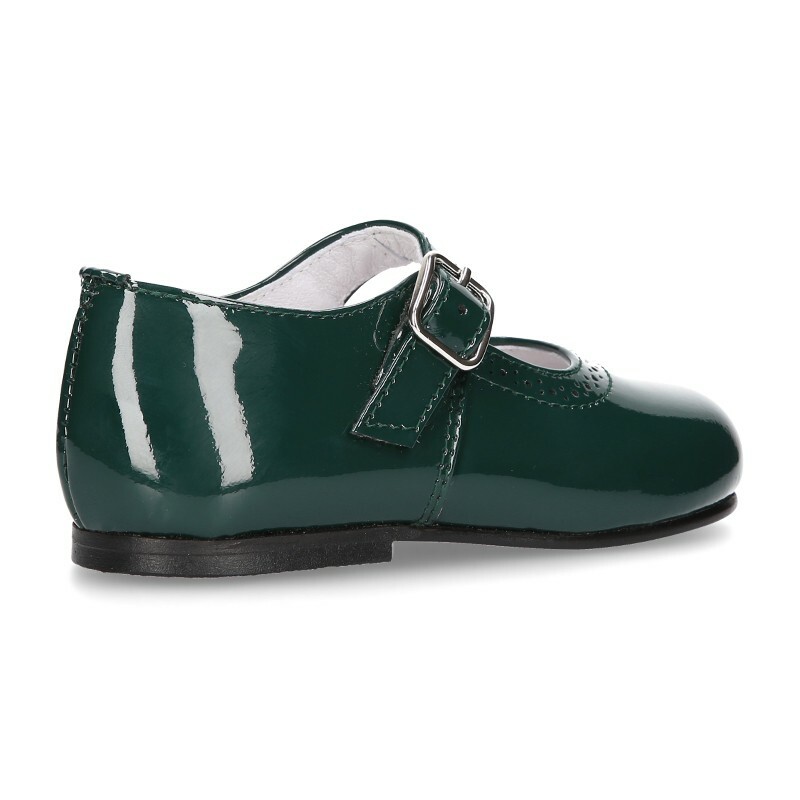 > Babies>Mary Jane>Classic little Mary Janes with chopped design in patent leather. 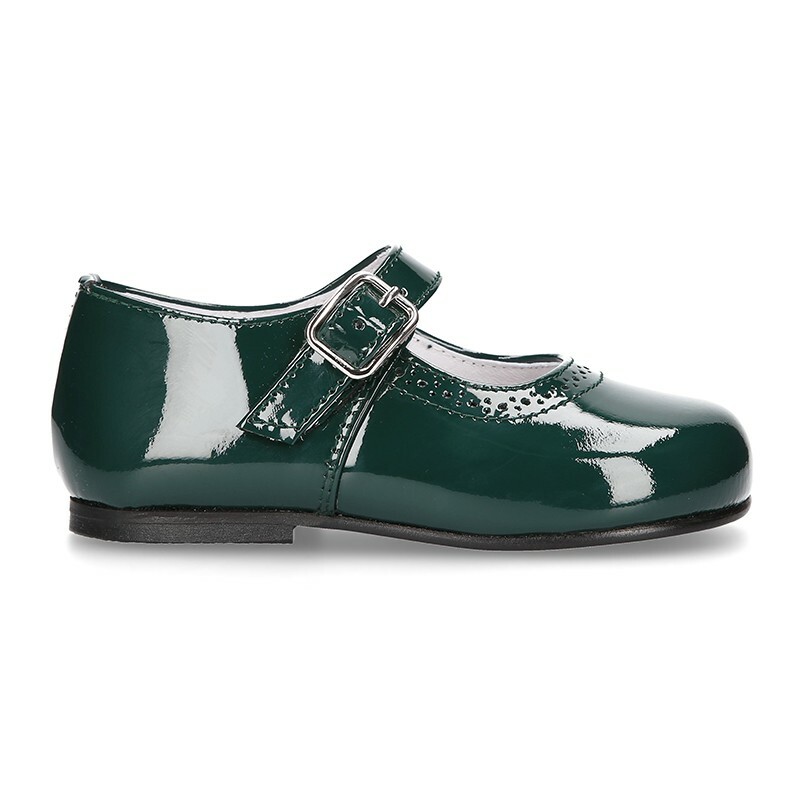 Classic little Mary Janes with chopped design in patent leather. 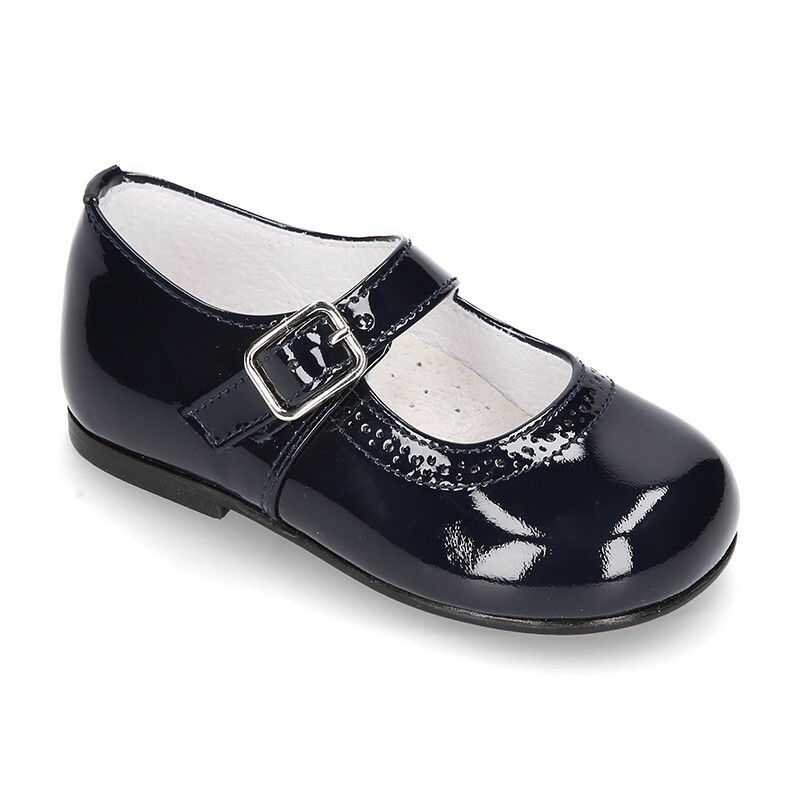 Classic little Mary Jane shoes with chopped design and buckle fastening in patent leather. AVAILABLE FROM 17 EURO SIZE. 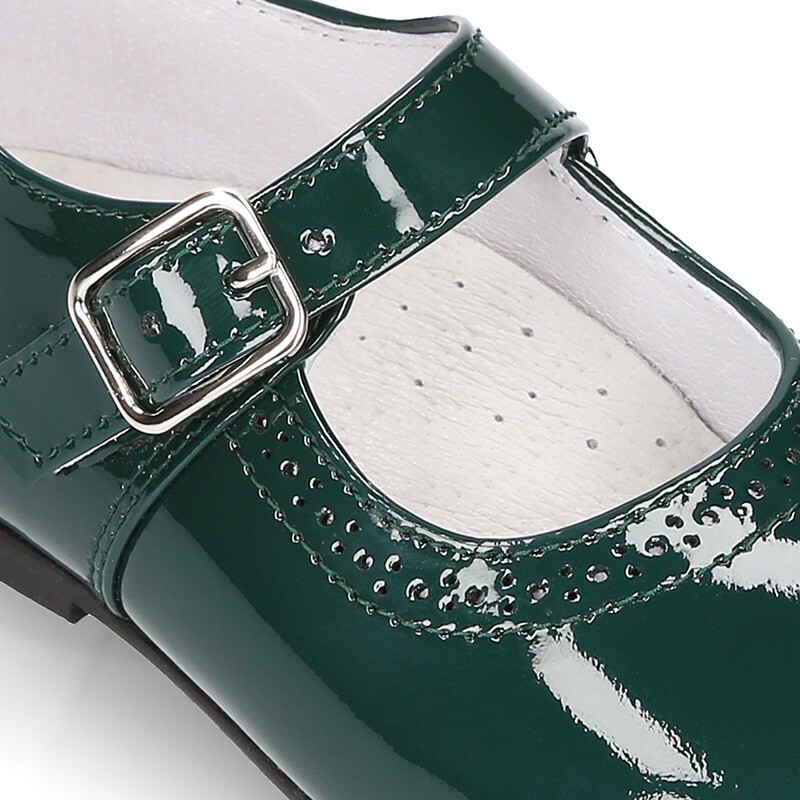 More info about Classic little Mary Janes with chopped design in patent leather. Classic little Mary Jane shoes with buckle fastening and chopped design for first steps and girls in patent leather. Really smart!. Perfect for to dress with all their garments this Autumn-winter. It´s and updated lifelong model. 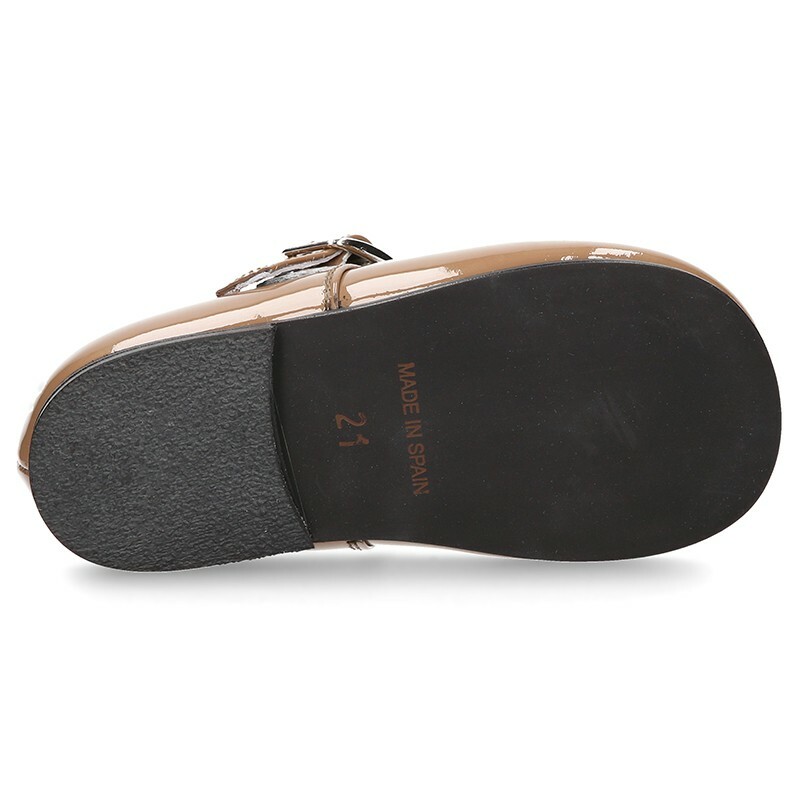 Made up of 100% high quality natural Nappa leather with patent finish leather. 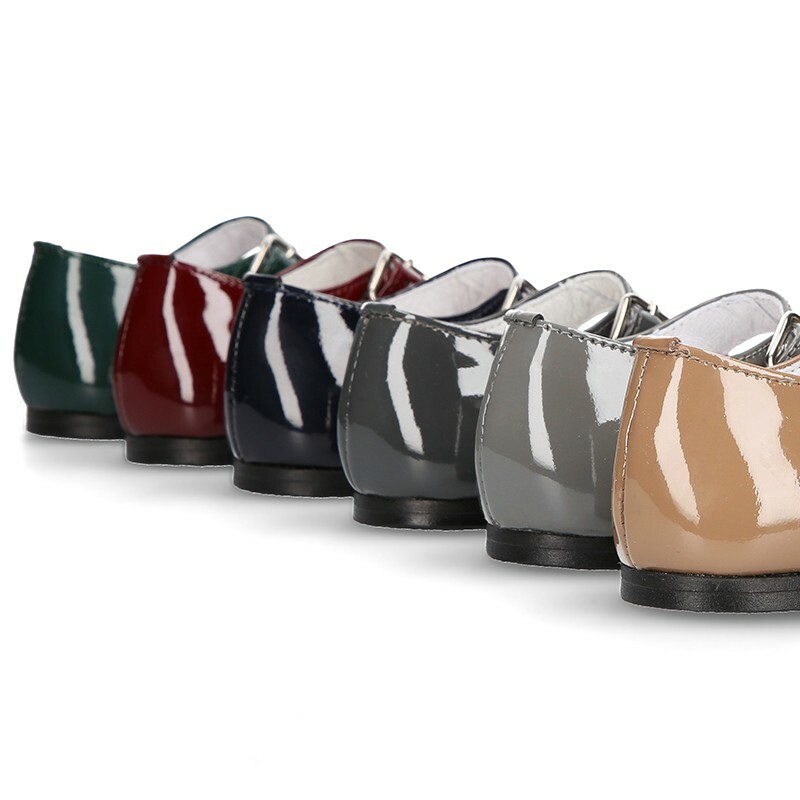 All our patent leather finishes are very fluffy with the maximum level in leather. With buckle fastening for a better grip. Fully lined in leather with anatomic footbed, which facilitates the natural growing of their feet, and perforated for good perspiration. Available in 6 colors. Range of sizes: 17 to 28. SIZING REGULAR. 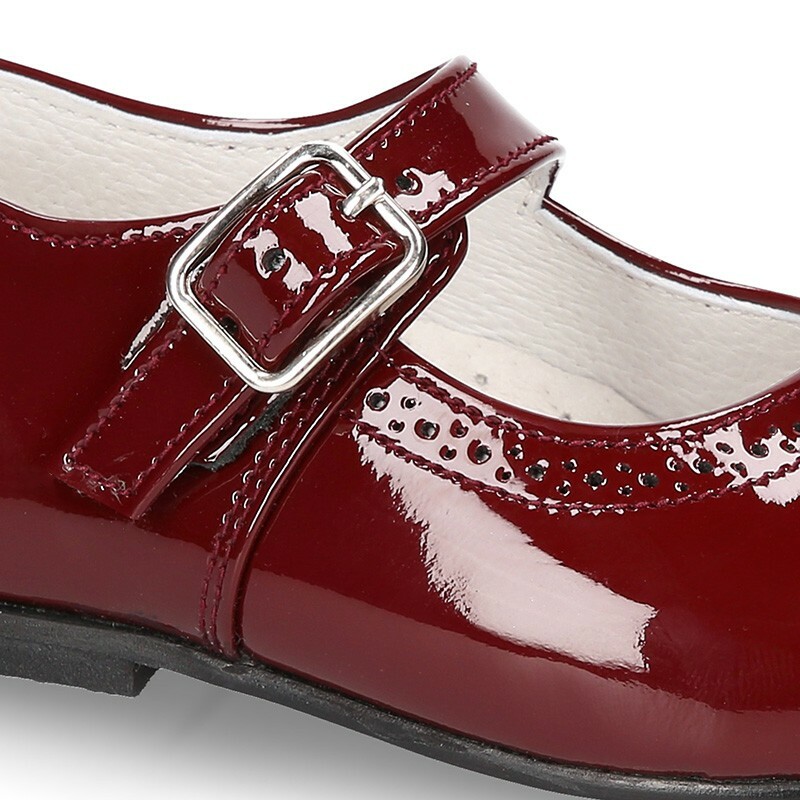 New 17 size available for smaller girls that begins early to walk. 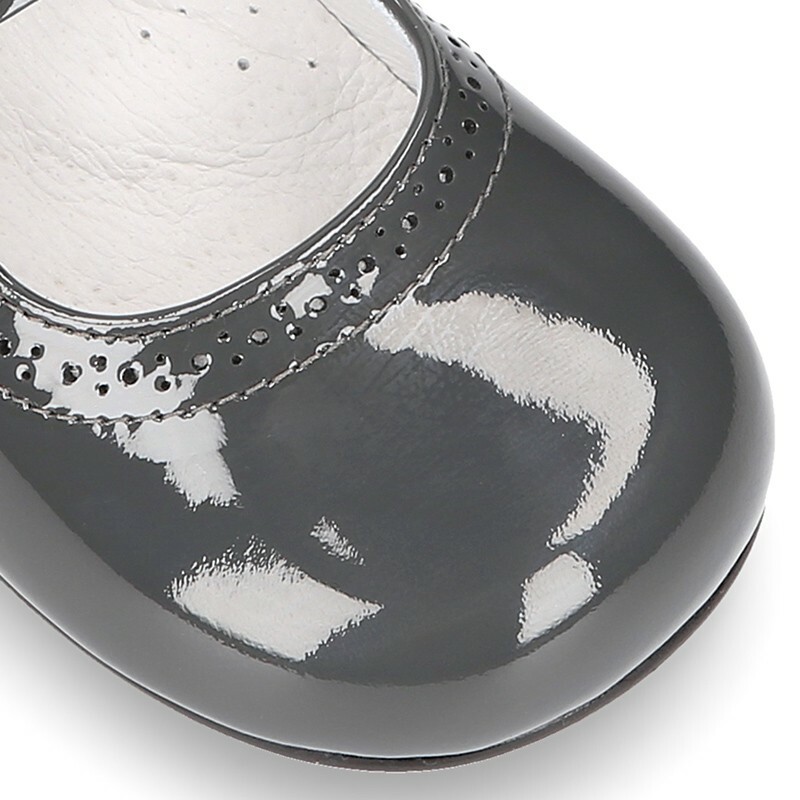 Data sheet about Classic little Mary Janes with chopped design in patent leather. 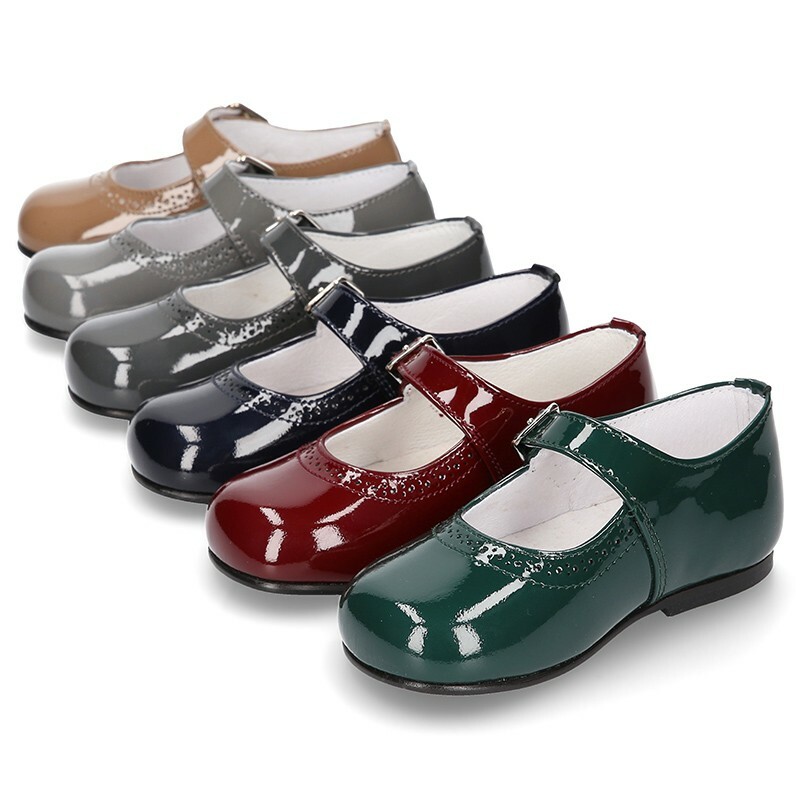 Medidas sobre Classic little Mary Janes with chopped design in patent leather.